Trying to buy something special for the nerd in your life? That’s basically my life story. Although my husband is dashingly handsome, he has some hobbies that are nerdy enough to warrant him being called a “geek” from time to time. Same thing with my brother. With the new Star Wars movie on its way, he can hardly have a conversation about anything else. And, let’s face it: I’m pretty nerdy myself. I mean, I do write a blog about personal finance for a living. Plus, I spend my free time watching funny cat videos and documentaries about outer space. What can I say? Fortunately, a new website aimed at gift ideas for nerds has made its way into the mainstream. 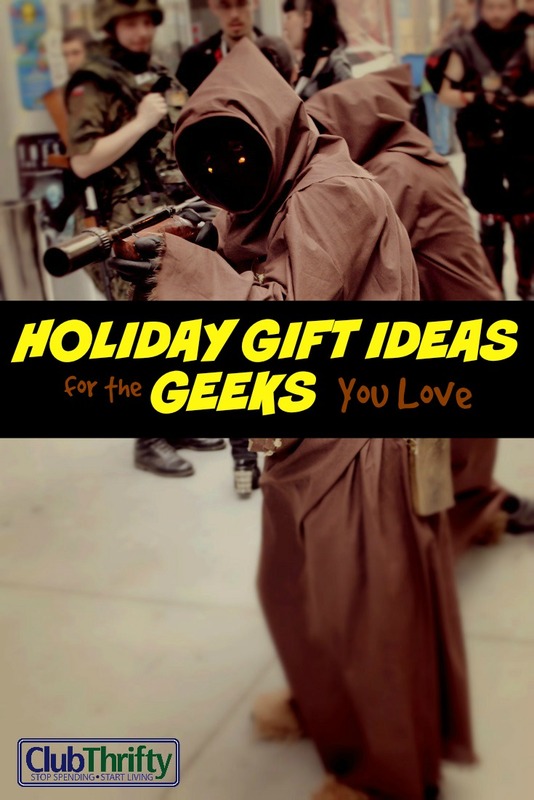 It’s called ThinkGeek, and it offers an array of nerd-themed gifts for sci-fi lovers and nerds of every kind. For a limited time, you can even earn up to 4% cash back by shopping at ThinkGeek through ShopatHome.com. Remember, Shop at Home is a free site that combines all the best things about shopping online – including convenience, coupon codes, cash back, and reward points. To utilize ShopAtHome.com, you simply need to visit their site and sign up before you begin your online shopping. Once you sign up, you can activate the coupon codes for any website you plan on buying from. 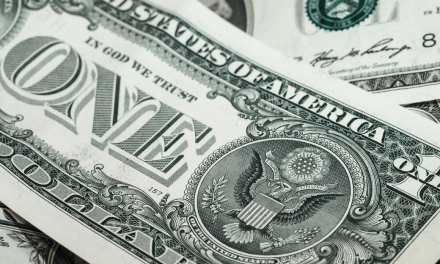 Talk about an easy-peasy way to save some money! Need some gift ideas? Let’s dig in. I actually own this. Is that sad? 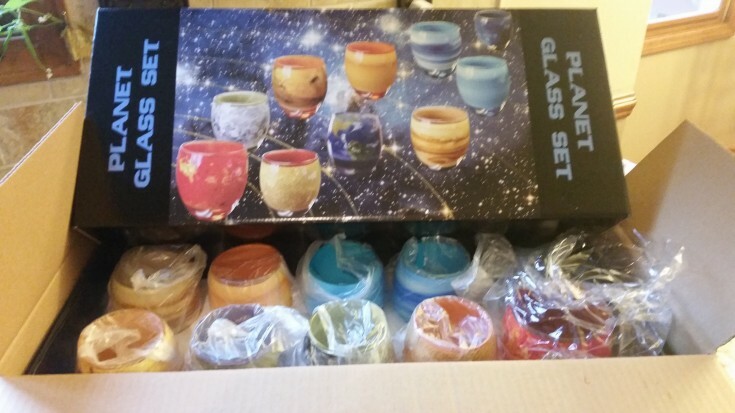 This set offers a glass that resembles each of the planets in our solar system – plus one for the moon and, of course, the sun. What’s even cuter is the fact that the Pluto glass is itty bitty – just like the tiny planet itself. Wait – Is Pluto a planet again? 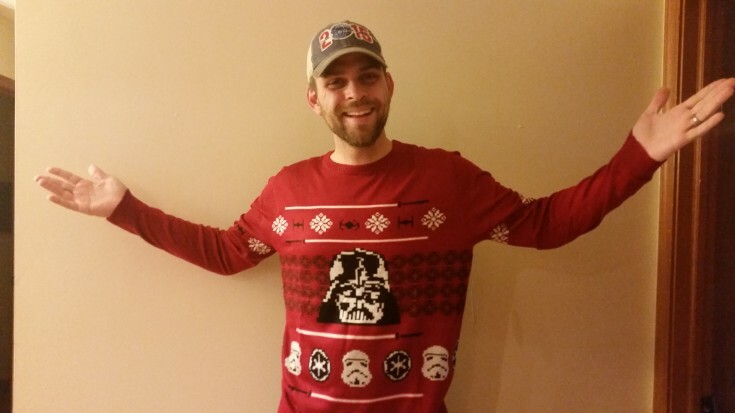 Yes, that’s my husband wearing a cheesy Star Wars holiday sweater. Don’t judge. For $49.99, you can have one too. Personally, I’ll stick with my ugly Christmas sweater instead. And don’t show this to my brother; this is actually his Christmas present. If you’re looking for a stylish way to store your favorite cookies, look no further than the Star Wars Death Star Cookie Jar from ThinkGeek.com. According to product specifications, this cookie jar holds “many cookies” and is officially licensed as Star Wars merchandise. Although I’m not sure what’s really in this jar, does it really matter? I think not. For $9.99, unicorn meat is the perfect prank gift for your office or workplace. Simply stick it in a shared kitchen space until someone notices for a day filled with intrigue and genuinely hilarious office fodder. With this coupon, you can even get 20% off your final order of $40 or more. The look on this dog’s face says it all. He absolutely looooooves his new costume and the tiny stuffed animal riding on his back. Obviously. ThinkGeek.com notes that this Dewback costume is “one size fits all,” meaning you should measure your pet before completing the purchase. Also note that the headwrap is attached to the reins on the Sandtrooper’s hands. In other words, don’t forget to cut the reins if you’re putting this on a cat. Not only can you buy amazing gifts for nerds through ThinkGeek.com, but you can earn cash back for doing so by clicking through ShopatHome.com first. ThinkGeek is the store that will have you thinking that maybe geeks are cool after all! This fun store caters to the geek in all of us. From apparel to gadgets and computer accessories to caffeine, ThinkGeek is a one-stop shop for everything geeky. What are you buying your nerd for the holidays this year? Do you have any cute gift ideas? These things crack me up! I especially love the dog costume. My dogs would completely hate it, but it would be super funny!! The geek in my life is my hubby, and I have already purchased his customary geeky t shirt for his Xmas gift! Great job! =) I got my husband a few dorky things for our anniversary. Think Geek also sells a thin profile noise-maker that sounds like a computer that’s working way too hard. A coworker “Gave” it to me as a secret santa gift, and I was on the line with IT support the moment I arrived at the office. It was a hilarious prank, and the noise maker has been making rounds in offices around the US ever since then. Oh, my dog would be so pissed! My Dad is a huge Star Trek and Star Wars nerd. I got him Star Wars tickets for his birthday (For the whole family to go) and my sister got him one of those huge Star Wars oven mitts. ThinkGeek is a great site (wish I had thought of it first haha). I’m waiting to see if I can get free shipping there because we want the Weeping Angel tree topper. We’ve never been able to agree on one, but that’s so Dr. Who nerdy/creepy that we’re finally in agreement. Lol @ Canned Unicorn Meat. I’d love to get some of that. Ha ha ha… I’m a bit the same as Greg, I can’t wait for the new Star Wars movie. Only 22 days to go! I’m not so sure about the canned unicorn meat, but I *love* that cookie jar. I wonder if they ship to Aus…?